A family is torn apart by fierce belief and private longing in this unprecedented journey deep inside the most insular Hasidic sect, the Satmar. In 1939, five-year-old Josef witnesses the murder of his family by the Romanian Iron Guard. He is taken in by a Gentile maid, who raises him as her own son. Five years later, Josef rescues a young girl, Mila, whose parents are killed in the wake of Nazi deportations. Josef helps Mila find safety with Zalman Stern, a leader in the Satmar community, in whose home Mila is raised as a sister to Zalman’s daughter, Atara. The two girls form a fierce bond, but as they mature, Atara feels trapped by the restraints of Jewish fundamentalism, while Mila embraces her faith and her role as a respected young woman in her community. When Josef returns and chooses Mila to be his bride, she eagerly strives to be an ideal wife, but a desperate choice after ten years of childless marriage threatens to separate her from everything—and everyone—she cherishes. 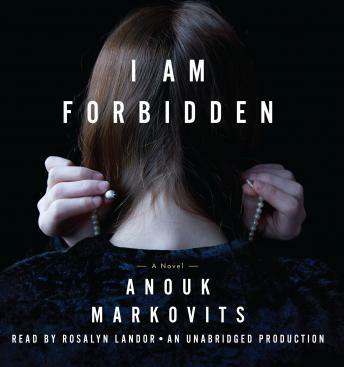 A beautifully crafted, emotionally gripping story of what happens when unwavering love, unyielding law, and centuries of tradition collide, I Am Forbidden announces the arrival of an extraordinarily gifted new voice and opens a startling window on a world long closed to most of us, until now.